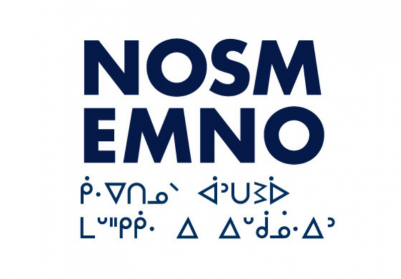 NOSM held its annual face-to-face Board of Directors meeting in Sudbury, Ontario on November 22 and 23, 2018. During the two-day meeting, Board members participated in several presentations and interactive sessions which included topics relating to the role of social accountability in an academic institution and the need for culturally-safe health-care services. Day one included combined sessions with the School’s Academic Council and the Board of Directors. Drs. Catherine Cervin, Vice Dean, Academic; Erin Cameron, Assistant Professor, Human Sciences; Penny Moody-Corbett, Associate Dean Research; and, Roger Strasser, Dean and CEO shared their perspectives on what the role of social accountability is in an academic institution, like NOSM, with the vision of achieving a healthier North. This discussion lead to the presentation of recommendations outlined in the Expert Panel on Indigenous Relations Report. Dr. Jerry Maniate, Vice-President, Education, The Ottawa Hospital and Expert Panel member along with Drs. Joseph LeBlanc, NOSM’s Director of Indigenous Affairs and Catherine Cervin highlighted key findings and reviewed next steps. Diane Smylie, Program Director, Ontario Indigenous Cultural Safety Program along with Leila Monib and Randi Ray, both Provincial Practice Leads, delivered a presentation entitled Transformation in Service Settings – Getting to the Roots of Tolerance. Following thought-provoking presentation, a workshop was held to delve deeper into the characteristics of Indigenous cultural safety. The second day of the meeting focused on the School’s strategic priorities, including an update from Ray Hunt, NOSM’s Chief Operating Officer, on the progress of the 2015 – 2020 strategic plan and looking forward to developing the 2020 – 2025 strategic plan; an update on the School’s communication plan; and, concluded with the open meeting of the Board of Directors, including a presentation on the School’s preparation for MD program accreditation in April 2020. The Board received copies of two recent NOSM publications: The Scope, the School’s research newsletter, and the 2018 Report to Northern Ontario: Rooted in the North. The next meeting of the Board of Directors and the Annual Meeting of Members is scheduled to occur on March 20, 2019. For a complete list of Board members, please visit our website at nosm.ca/board.